UVERworld & miwa To Provide Theme Songs For 3rd Season Of "My Hero Academia"
"My Hero Academia" has announced the artists that will be providing the theme music for its upcoming 3rd season. The opening theme song will be provided by UVERworld, while the ending theme song will be provided by miwa. Details about the song, including their titles, will be announced at a later date. 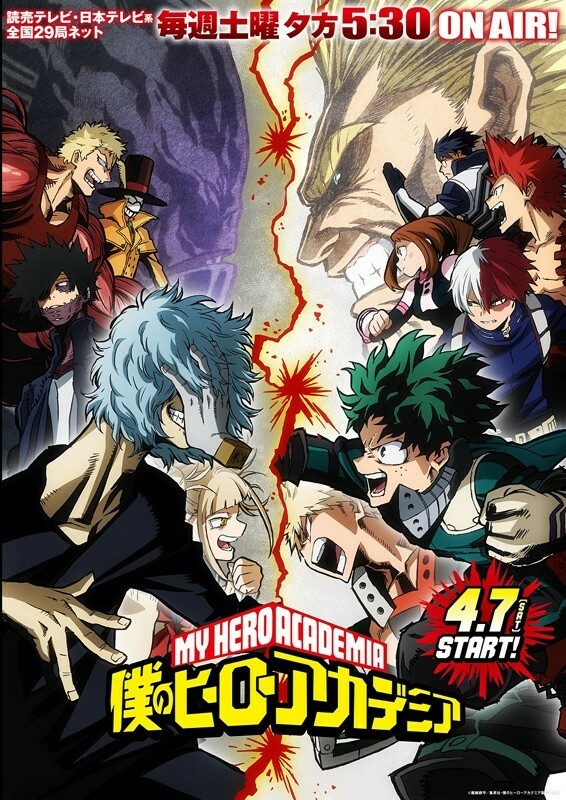 The 3rd season of "My Hero Academia" will begin airing on April 7. UVERworld To Provide Theme Song For Marvel Film "Venom"
UVERworld Announces New Single "ODD FUTURE"
UVERworld To Provide Theme Song To Japanese Airing Of "Grimm"
UVERworld Announces 9th Studio Album "TYCOON"